The referral might be influenced by finances and by insurance considerations. The patient may be going to a low cost clinic or they may need to find a psychiatrist who is on a particular insurance panel although insurance companies will often allow their subscribers to see an “ out of network” doctor and will cover part of the fee. Many private psychiatrists have either opted out of the Medicare program or are not accepting Medicare patient so this will also have to be determined before choosing the psychiatrist. The psychiatrist would take a careful history and look at the reason that the patient is coming ( in this case depression ) and examine the development of this symptom and circumstances around it. Similarly the presence of any other symptoms, problems or difficulties would be carefully examined. After looking at any of the issues which the patient brings up, the psychiatrist would ask about many other symptoms which may not have been mentioned by the patient such as anxiety, phobias, obsessions and compulsions, sleeping difficulties, appetite or eating difficulties, sexual problems, paranoid thoughts, auditory and visual hallucinations, suicidal thoughts and actions, anger, irritability, racing thoughts, grandiose feelings, short term and long term memory problems, confusion, tiredness, excess energy, dreams, nightmares and a bunch of other things. There would be questions about a history of traumatic events, recent loss and grieving as well as any history of substance abuse including alcohol. The psychiatrist would ask about a history of previous treatment for mental disorders and any psychiatric hospitalization. There also would be a review of any family history of psychiatric disorders. Also, not necessarily in this order the psychiatrist would learn about the patient’s interpersonal relationships with the people in his or her life. This would include getting some preliminary understanding of the patient’s childhood and relationship with close family members. It would also be important for the psychiatrist to understand about the existence of any medical problems, previous medical treatment as well as any medication that the patient may be taking . WHAT CAN THE PSYCHIATRIST CONCLUDE? Most of the time at the conclusion of the first interview the psychiatrist will have at least a tentative diagnosis related to the depression and any other condition that the patient may have. It may be that the psychiatrist feels that some medical tests are in order such as a test for low thyroid functioning which can cause depression. The psychiatrist may want the patient to have a neurological consultation or even some brain imaging to rule out something like a brain tumor although that would be quite rare. The results of a physical exam and lab tests may be useful in making the diagnosis and in determining which medication can be utilized if that is being recommended. Most of the time a tentative diagnosis and a recommended treatment plan can be instituted before all the results of any requested medical consultation or tests are received. For the this discussion, let us assume that the patient doesn’t have any other major psychiatric disorder other than a major depression. There is no substance abuse use, schizophrenia or bipolar disorder or underlying medical problems. Let us also assume that at the time of the consultation the patient does not require hospitalization for suicidal or other dangerous behavior including needing treatment for substance abuse. If the patient was having a first major depressive episode or if it were a repeat episode it would mean that he or she were having significantly depressed mood with possible problems in sleep, appetite, concentration as well as diminished interest and pleasure . The patient may be feeling worthless, guilty and having thoughts about death and suicide even if they didn’t have an active plan to kill themselves. There are other symptoms also and they all don’t have to be present. Most likely the patient isn’t functioning well socially or at work . Even if most of these symptoms are not full blown, it has the potential to get worst and the fact that patient has sought out help indicates that he or she is having a difficult time. 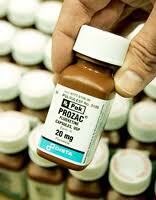 Anti-depressant medication may well be the treatment of choice to alleviate many of these symptoms. It is most likely going to take at least 4 weeks to get a significant improvement if this medication is going to work. The dosage may have to be adjusted and the patient will have to be monitored for side effects and possible worsening of symptoms including the potential of becoming a serious suicidal threat. In some situations more than one medication may need to be utilized. Thus far we haven’t factored in how important are the psychological factors in the patient’s life. Self image, personality, realistic issues in the environment, interpersonal conflicts, failure to achieve goals in school, work and in love can all be an important part of the equation. While improvement in the patient’s mood may very well occur with medication, this is no guarantee that these other issues will improve. 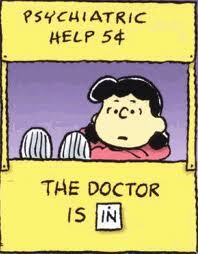 Therefore psychotherapy should be considered as the main treatment recommendation. It is true that when a depressed mood lifts, a person is often better able to deal with certain problems. But on the other hand a antidepressant is not going to change deep seated neurotic symptoms, self image and serious relationship problems. Even objectively looking at basic depressive symptoms there is a lot of research that shows that some form of psychotherapy with medication is better that either one of these modalities when the problem is depression. Of course the recommendation for treatment will also have to take into account, the age of the patient, life circumstances, social supports etc. However in most cases a combination of psychotherapy and medication is often the treatment of choice in the above situation. In cases of a recurrent depression, it may be that the person has previously had psychotherapy and a reinstitution of medication is all that is required or that the patient has done well on medication alone in the past. Many psychiatrists such as myself do psychotherapy and also can prescribe medication. Ideally many prefer to do both with a patient when it is indicated. Some psychiatrists only do psychopharmacology and would refer the patient to someone who does psychotherapy. If a patient is referred to a psychiatrist by a non-psychiatrist therapist, then the psychiatrist would prescribe the medication and the original therapist would usually continue the psychotherapy. This requires collaborative therapy in which the patient gives permission for communication as needed between the two health professionals. The psychiatrist would have to decide on the frequency of follow-up visits to adjust medication which can usually be done in time limited visits and the two professionals may have to talk periodically to decide if the treatment needs further adjustment. On some occasions, the psychiatrist may feel that the depression does not or may not require medication but rather there should be a trial of therapy first. This means that if there is a non psychiatrist therapist who referred the patient to the psychiatrist, that person would have to be comfortable in continuing the therapy without medication. Medication could always be reconsidered at a later date. Another variation would be a trial of medication perhaps with continued psychotherapy and then perhaps a trial off the medication as the psychotherapy continues. Sometimes a non-psychiatrist physician will be comfortable in prescribing medication but might periodically want a to consult with a psychiatrist who would see the patient for an occasional visit. It would be nice if there were a simple blood test or MRI to determine the best form of treatment or even a simple test to determine whether psychotherapy will be successful. While psychopharmacology and psychotherapy techniques have come a long way in the past 50 years, there still needs to be good clinical judgment and a working alliance between the patient and any professionals working with them. Comments are welcome from both mental health professionals as well as patients, potential patients and anyone else.